Coming Soon... Stenhouse Publisher's Daily 5 Blog Tour! Beginning on Monday, May 5th, Stenhouse Publishers will be kicking off a blog tour to celebrate the second edition of the Daily Five book by Gail Boushey and Joan Moser. Each of the four bloggers will be posting reflections after reading the book, and we'll also have an opportunity to share answers to the questions we've asked Joan and Gail. As an added bonus, readers who leave comments on the blog posts will be eligible to win a free, signed copy of the new edition of The Daily Five book!! I hope you'll be back to join in the fun! Do you know of the "It's Monday, What Are you Reading?" meme? While I don't participate often, I am a big fan! I've brought the idea into our classroom and have asked my students to write these posts as a part of their reading reflections. Yesterday morning, I decided to up the ante and take a new approach. Patrick Andrus is a 4th grade teacher who does some amazing weekly posts on his blog! I especially love his "Trailer Thursday" and "Friend Friday" posts. For Friend Friday, one of his 4th graders posts a review of a book. This is mentor text gold! Written by a fellow 4th grader. Ideas for organization. Book titles. Gold!! Before we started writing our posts yesterday morning, we took a look at a couple of different Friend Friday posts from Patrick's blog. Students quickly noticed there was a format the posts followed and certain sentences his students used as a way to organize their thoughts. My kids asked me to leave one of the Friend Friday posts projected on the board so they could use it while writing their posts. I was happy to oblige! As you read our IMWAYR posts this week, you can see how Patrick's students really influenced our thinking and writing. Thanks to Patrick and his 4th graders for "mentoring" us! As soon as I saw the hashtag, I was inspired to join in the celebration for Franki Sibberson! So, here we go with a few of my favorite things about Franki. My "advanced" readers in first grade would not have had the opportunities or variety in our classroom. 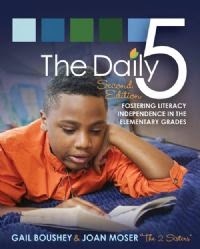 Franki taught me there is more to literacy instruction than leveled books, the power of series books for readers, and how all readers are "still learning to read." (among many other things!) Her wisdom and thinking influences my work with my fourth graders just as deeply. I wouldn't have known I was absolutely, positively #TeamBear. I love that this debate over Jon Klassen's I Want My Hat Back lives on to this day! I probably would not have attended professional development conferences in three different states... and felt right at home. She makes everyone she meets feel comfortable, welcome, and valued. Without Franki, hilarious memories like #KatieKnows and #GHO (Go Home Ohio) would not have been created. 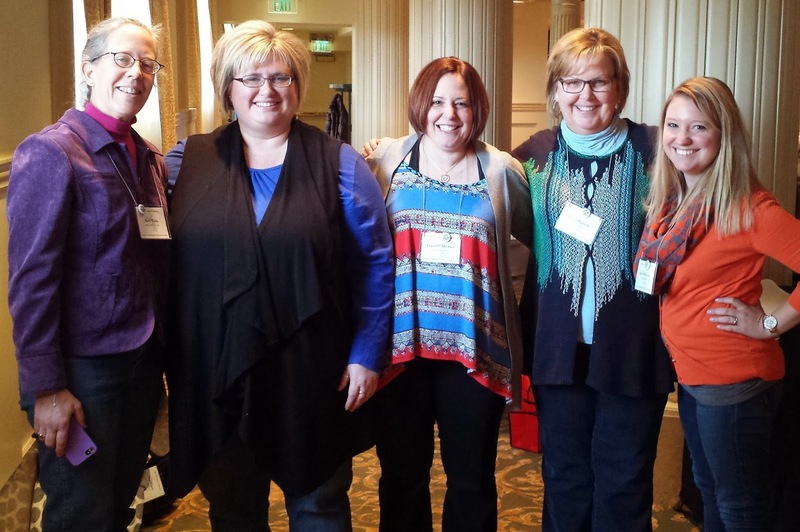 I treasure the laughter we shared over our weekend of learning at MRA! Her incredible talent and drive for trying new things pushes me to think more and explore more, all while remaining grounded in my beliefs. I'm thankful to have connected with Franki on Twitter. I'm just as thankful for the times we've learned and laughed together in real life! Wishing Franki the happiest of birthdays today! Thank you for sharing wisdom, pushing thinking, and infectious laughing. Let's make that "meet in the middle" road trip happen! Recently, I wrote about some of my questions around the topic of Genius Hour. I've been drawing inspiration from Paul Solarz, Joy Kirr, the Twitter Genius Hour hashtag and chat, and my crazy cool Coffee & Collaboration colleagues to get started with Genius Hour in our 4th grade classroom. Paul's blog, along with Joy's Genius Hour Live Binder, have become my go-to sources of information. We watched videos of completed projects by students in Mr. Solarz's class to open our eyes to the possibilities of what that time could look like. We also perused some of the questions his kids had asked to see if ours were on the right track to asking really deep questions. My students filled out a quick Google form to submit their idea for their first question. With a little bit of fine-tuning, I approved questions for all 26 of my kids. We also read the picture book "What Do You Do With an Idea?" by Komi Yamada to reinforce the idea that we all have different interests and styles of learning. We shared stories from our own lives about how ideas sometimes permeate our brains and just won't go away. These are the kinds of ideas that work best for an extended project! Friday was our big day! I actually allowed a bit more than an hour so we had time to go over some reliable, kid-friendly research sites and review expectations before they were off and running. I confessed to them that I had purposely not given this time in our classroom a name and that I was torn about what to call it. We'd talked about Genius Hour, but I keep going back to my idea of a Wonder Workshop. Being the creative bunch that they are, one of my boys offered, "Why don't we just call it Happy Hour?" As much as I love that idea (and I giggled over it... a lot,) I explained that it might not be the best choice as many people know Happy Hour in a different context. The majority of my kids wanted to go with Wonder Workshop, and so it is! I did offer the KWHLAQ form as an organizational tool (which I learned about from Paul.) Kids have access to the internet via their Kuno tablets, an opportunity to visit open check-out at our school library, and access to our growing classroom library for resources so far. My only other directions were to try to keep focused! They're already learning that some of the questions they asked were either too easy or way too broad. They're putting to use their researching skills. We'll be talking a lot about how to take notes to keep track of our thinking. (Many were tempted to just use the very limited space on the KWHLAQ form... or to copy word-for-word from a source.) We'll be talking more about using our time wisely and remaining focused. We also need to talk about options for sharing our learning as some students might begin to wrap up their learning in a week or two. It was inspiring to hear the excited buzz all across our classroom. Students were intrigued by what their colleagues were studying and finding. What an exciting journey for all of us to share! I love this time of year for trying out new things and spicing up the end of our year together. I'm already looking forward to this week's session! Thursday mornings have become my new favorite! Last week, a tiny group of colleagues from my school and I were chatting on Twitter about a whole bunch of ideas and tools we wanted to share. We decided the conversation warranted more than 140 characters, and so the idea of "Coffee and Collaboration" was born. The conversation last Thursday morning was simply outstanding! It was like our own little version of a Smackdown. What are you doing in your classroom? What new tools are you using? How are you using them? What do you want to try? It started with just four of us, camped out in Joanna's room with coffee cups in hand. A few others trickled in for a few minutes and promised to join us the next time. I can't even begin to explain how much I need this. How much I crave this. I am a huge (HUGE!!) fan of Twitter and enjoy dipping my toes into the waterfall of splendid ideas shared by educators and authors. It's also my hope that sharing my ideas and thoughts will help inspire people in the same way they've inspired me. Twitter fulfills my need to connect, chat, and collaborate quite often. Conferences I attend fulfill that need for me, especially when I can connect with Twitter friends while I'm there. It is a refreshing feeling to be able to have those conversations in real life right down the hallway! 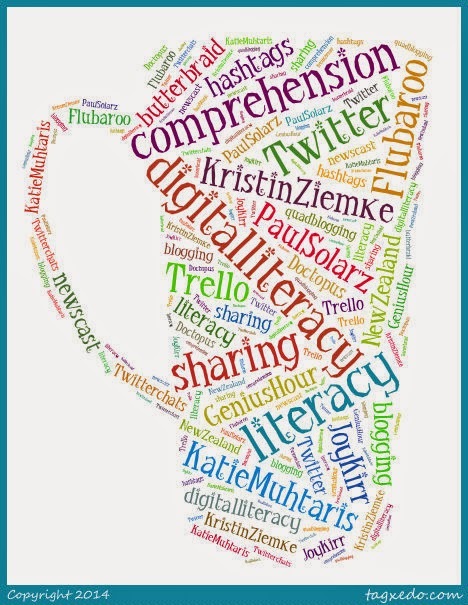 Some of our Coffee & Collaboration friends are just beginning their journeys on Twitter while others of us have already found the power of Twitter as a professional development tool. If you want to come along for the ride, feel free to click on each name listed below to follow them on Twitter! I can hardly wait to see what next week's C&C holds for us! Three years ago, I stumbled upon a website called Planbook.com. Thank goodness!! It has helped me so much to organize and plan my weekly, as well my long-term, lesson plans. It's only $12 a year for a subscription to the site, and there are always offers to add free months to your subscription. The site is available on all of my devices, which is one of my favorite features. If I wake up in the middle of the night and realize I forgot to write something in, I just grab my phone and voilà! Done. Our school operates on an A-E day schedule. I was able to easily adjust my settings to incorporate this as well! It even shifts the days for me when we have days off. After creating my daily schedule blocks, I can click on them each week and add the necessary information. It also gives me the option to add links, pictures, and files. Comes in handy! A new feature I've been using this year is the "events" option. It's a great way to enter in special assemblies, meetings, and reminders. While I haven't used it, there is also a way to share your lesson plans with colleagues. I can see how that would be a great way to collaborate with teammates and share with other teachers who work directly with a teacher's class. The picture below shows what my weekly plan looks like, taken from a screenshot on my phone. You can change the colors, fonts, and set-up to meet your needs. How do you organize your lesson plans? Do you have any tools that come in handy? So, let's talk about math, shall we? 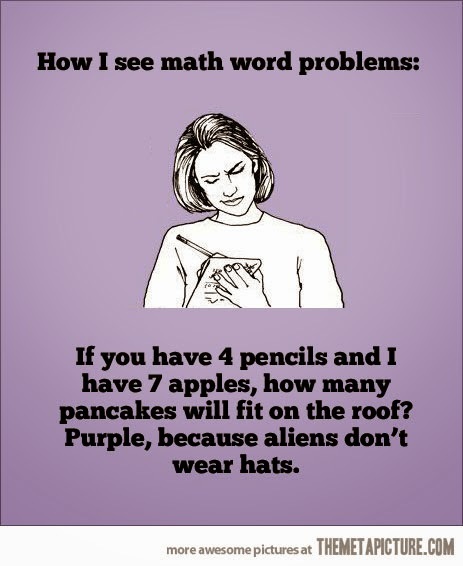 I have to admit... out of everything that I've had to learn this year in 4th grade, math has been the trickiest! I don't consider myself a master of math. In fact, I'm one of those people who has a fear of math. I panicked at the beginning of the year. A lot. Things have gotten better, but I am consciously aware that I am still learning how to teach 4th grade math. Don't get me wrong - I don't feel I've done a bad job, I just know I can and will do better. What I'm finding is that it really helps the kids (ok, and me) to have tutorials, videos, and cheat sheets for many of the concepts we're learning. And it makes me giddy when I find a trick or technique that really clicks with my kids! The butterfly method was one of those great finds. I learned about it on Pinterest and shared it with my kids today. You can see the original post HERE on the Move It Math site. It's a way for kids to add or subtract fractions with unlike denominators. And I tell you... magic! It really simplifies the process and gives an easy-to-remember visual so kids will be able to easily access it on their own. 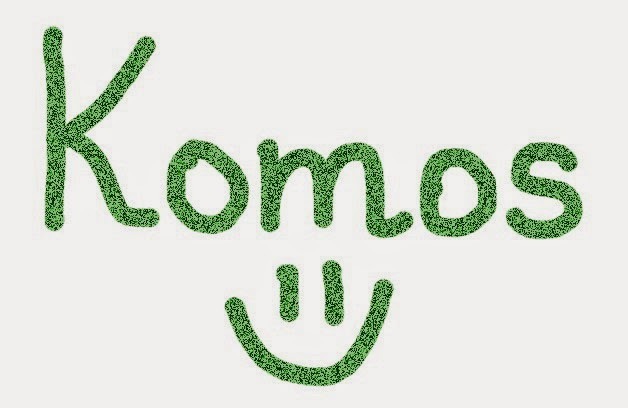 I used THIS amazing tutorial from Mrs. Leoni on the Educreations site to teach my kids how it works. Below, you'll find a few pictures of us practicing the butterfly method! I'm hopeful that I'll continue to find these tips and tricks to help me, my kids, and parents to support our learning!